Hammersmith and Fulham Clinical Commissioning Group (CGG) has recommended that it raises an objection to the roll-out of GP at Hand across Birmingham. A roll-out of the GP at Hand service, which provides online consultations for NHS patients, has already been scaled back after NHS England lodged a formal objection. The CCG has also commissioned a review into the impact of the service. The latest board papers state that “further information is required to provide assurance on the safety of patients” before the extended roll-out can be approved. In a letter, Paul Jennings, Birmingham & Solihull CCG, said he wanted to “formally object” to the roll-out on the “grounds of clinical safety”. Jennings also asked for Hammersmith and Fulham CCG to refuse the roll-out until the independent evaluation is carried out. A GP at Hand spokesman said the company was “surprised” and “disappointed” by the board papers, and said it had provided “detailed assurances about the clinical safety” of its service. A statement from the company can be read in full below. It has also been reported this month that the new secretary of state for health and social care, Matt Hancock, is signed up with Babylon. Hancock is quoted in the Daily Mail as saying his “GP is through the NHS on Babylon Health”, and called the service “brilliant”. “We are surprised and disappointed by the paper to the Hammersmith and Fulham CCG committee, having provided detailed assurances about the clinical safety of our service – including its expansion to Birmingham. The GP at hand service has already been subjected to more scrutiny than any other practice. For example, there is an ongoing NHS Clinical Review of the GP at hand service led by senior NHS England doctors, which continues to provide assurance about the service. 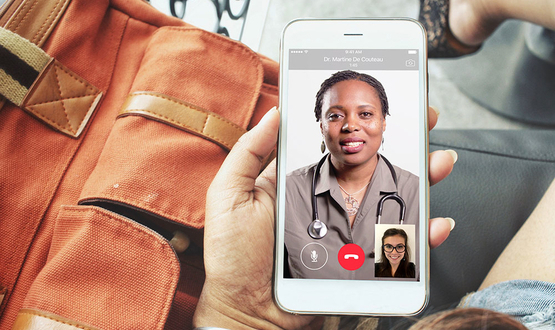 With immediate 24/7 access to GPs, fully-recorded consultations and high levels of staff motivation and engagement, safety levels far higher than traditional general practice are able to be delivered. “The paper contains several factual inaccuracies, which we will of course be writing to the CCG to correct, as well as providing explicit confirmation on the points raised in the paper. Most concerningly, the lack of a commissioning “assurance framework” is cited as a major reason for not approving the expansion. Your readers, and the public at large, will want to know why commissioners have been so slow to put such a framework in place, given GP at hand’s intention to expand has been widely known and reported for more than six months. People may speculate as to whether this is down to a lack of preparation, or the vested interests of a few seeking to block the expansion of GP at hand for their own financial benefit or ideological views. “People have the right under the NHS Constitution to choose their NHS practice. GP at hand is an NHS service; paid for by the NHS; providing NHS services to all patients – just like the vast majority of GP practices throughout the UK. In less than a year, over 30,000 people living or working in central London have joined NHS GP at hand, with more than 4 out of 5 people rating our digital appointments giving them the full five stars. The average waiting time for an NHS GP appointment with GP at hand is 38-minutes, compared to waits for routine appointments in traditional practices of a week or more. And, of course, by providing care 24/7 – despite only being paid for the core hours of 8am-6.30pm Monday-Friday- GP at hand is supporting the rest of the NHS as well as maintaining continuity of primary care within a single provider no matter what time of day or night. I have tested this and feel it is unethical to expect a patient who is not feeling well to read, choose options and type in a reply that is right. Every person who consults doctors tell a story as they have lived and experienced and so vary. It is the duty of a doctor to identify the cause and offer a solution and not a prescription. I’m all for up ending the status quo and bringing innovative services to patients… I think GP at Hand does that. But, it’s the funding model that everyone is freaked out about. Hammersmith CCG has taken a huge unbudgeted hit because of this. Babylon should have throttled registrations and been working closer with the local CCG on this. 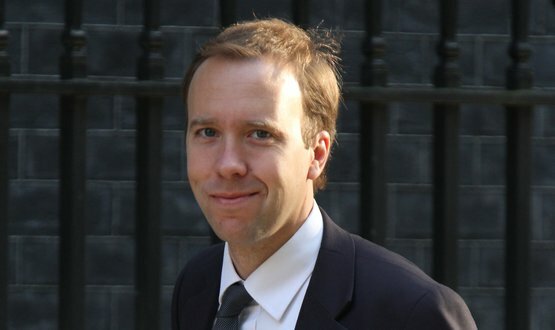 New Secretary of State for Health and Social Care Matt Hancock says his top three priorities are workforce, technology and illness prevention.